Adding oak to beer has been making a comeback in recent years. 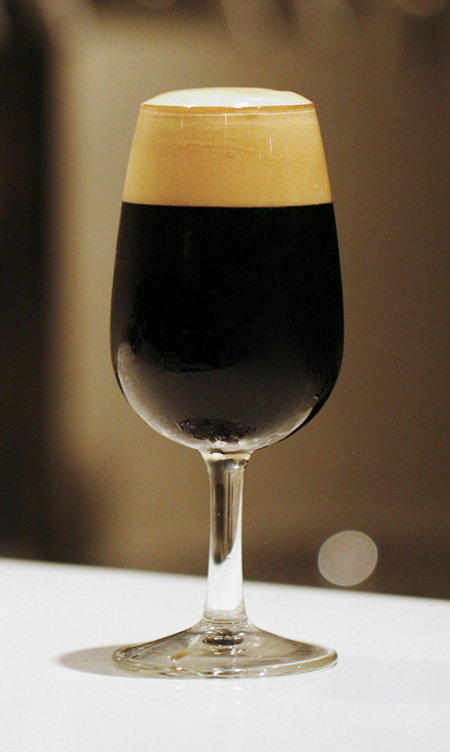 It's usually done in darker/strong styles, one of the most popular of which is Russian Imperial Stout. This beer is wonderfully suited for oak barrel aging, especially barrels that were previously used to age bourbon. (We've updated our recipe to show you how). Many homebrewers (and even professionals) shy away from oak as it is hard work to keep barrels in good working order. They have to be cleaned, kept bacteria free, and then stored properly when not in use (usually wet to avoid the oak staves from shrinking). Barrels are also expensive and take up a lot of room. To oak beers such as our Russian Imperial Stout we use a much simpler method which we feel produces excellent results: Instead of adding the beer to a barrel, we simply add the barrel to the beer in the form of good quality oak cubes. What kind of oak to use? The three most popular types of oak are American, Hungarian and French. French provides the mildest flavour including hints of vanilla, while American provides the strongest oak flavour. Hungarian tends to sit somewhere in the middle. Choose your oak based on the style of beer and outcomes you expect. For example, we use American oak for our Russian Imperial Stout as the recipe is decidedly American. Oak comes is varying 'toast' levels. Dark toasted oak will have a more carbonized or caramelized flavour while lightly toasted or untoasted oak will produce a much more mild flavour. Oak can usually be purchased with varying toast levels with light, medium, and heavy being the most popular. We recommend staying away from oak chips and sawdust when oaking. While they impart flavour quicker, they are toasted to the same level throughout which produces less complex flavours and aromas. 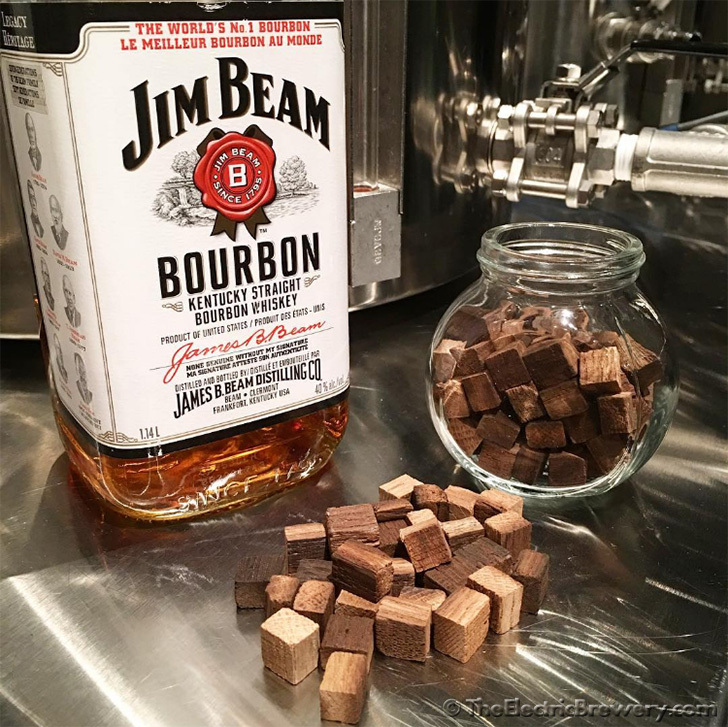 Good quality oak cubes are cut from staves that are toasted on one side, just like barrels, allowing the beer to come in contact with varying toast levels. To produce a bourbon barrel aged taste we want in beers such as our Russian Imperial Stout we soak American medium toast oak cubes in bourbon for approximately one month. The bourbon infused cubes are then added to the brite tank (a 5 gallon glass carboy in our case) with the beer after fermentation is done. We discard the bourbon, but it can also be added for an extra kick if you like. The beer is then left on the oak for approximately 3-4 weeks at room temperature after which it is kegged and the cubes are discarded. Given the long steep time, we usually skip using any finings (such as unflavoured gelatin) in the brite tank as the beer will have time to clear on its own. What amount of oak to use? We find that 1 oz of cubes (before bourbon soaking) per 5 gallons steeped for 3-4 weeks adds a subtle oak/bourbon flavour that melds perfectly with the chocolate and coffee notes in our Russian Imperial Stout. 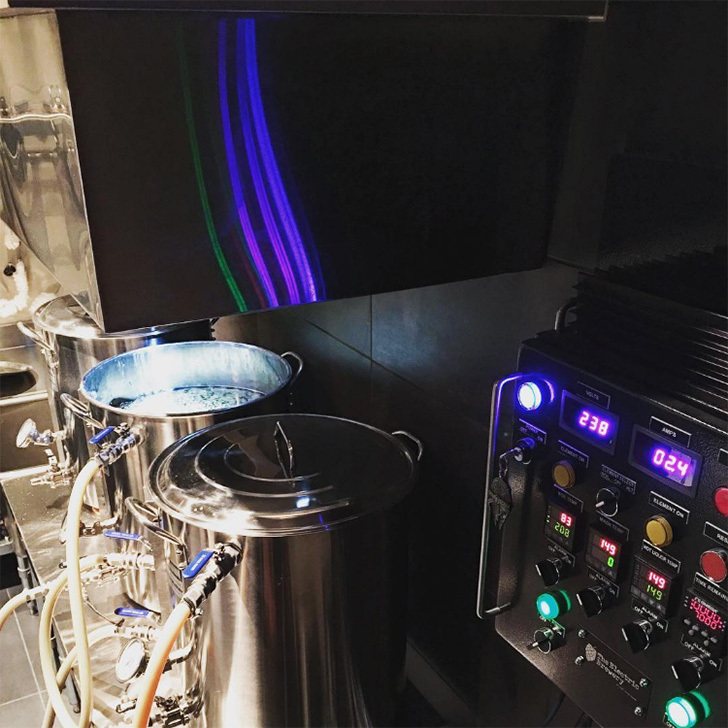 If you prefer to skip the brite tank and go right into the keg, oak added to a stainless steel dry hopper suspended in the keg also works well. Simply tie a piece of unwaxed/unflavoured dental floss to the top of the dry hopper for easy removal once the desired level of oak is achieved. Feel free to experiment with different types of oak and toast levels. A word of caution: While oak flavours will fade over time, they will never go away completely, so sample the beer regularly when using oak for the first time to ensure you do not over-oak. After one month of steeping on bourbon soaked American medium toast oak cubes, our 10.6% ABV Russian Imperial Stout takes on a subtle toasted oak/bourbon flavour as you would get with bourbon barrel aging without all the complexities of barrel management. The oak pairs amazingly well with the rich dark chocolate, coffee, and plum / raisin / prune flavours. A wonderful sipping beer, one with rich/luxurious depth. Oaked beers are often ones that will keep well for many years and slowly age and change over time. The oak, hoppiness and other flavours will be more prominent at first and slowly meld together and fade into the background over time. If you bottle, tuck away a few and try one every year for the next 10+ years. We currently have some Bourbon Barrel Aged Russian Imperial Stout on tap that is over 2-years old and it is definitely a crowd pleaser. The perfect beer for the cold winter months! Interested in brewing a Bourbon Barrel Aged Russian Imperial Stout? Follow our recipe and brewing process hints/tips to make this full bodied ale with complex chocolate, coffee, and oak flavours! Is that a Millenium Falcon key fob on your control panel key? Yup! And Han (always) shot first, no matter what Lucas wants to think/change. "TheElectricBrewery.com control panel. Now able to brew Kessel Run Ale in less than twelve parsecs. Contact us for upgrade options."